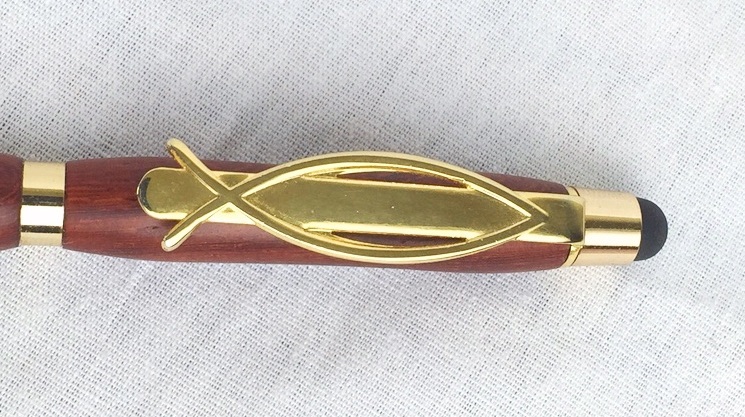 Customize our gold slimline pens with a cross or ithcus on the clip. 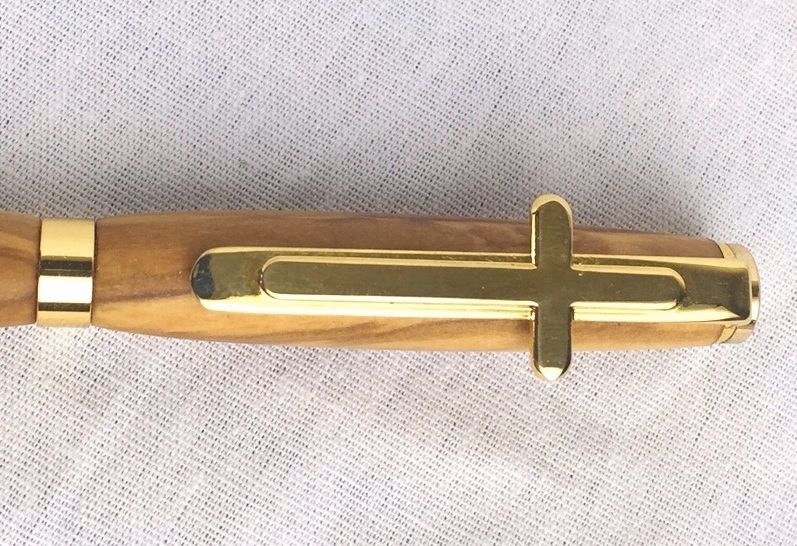 Makes a subtle witnessing tool or a great gift for religious friends. 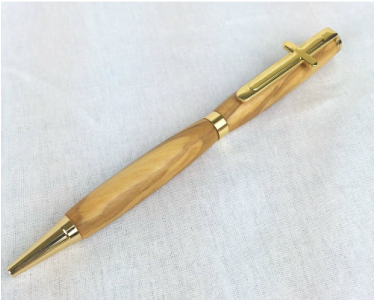 Each pen is plated with 24kt gold and take standard Cross style refills. Upgrade with a stylus on the top for greater versatility. Every pen comes shipped in a black box for storage. Prices for this option start at $30. 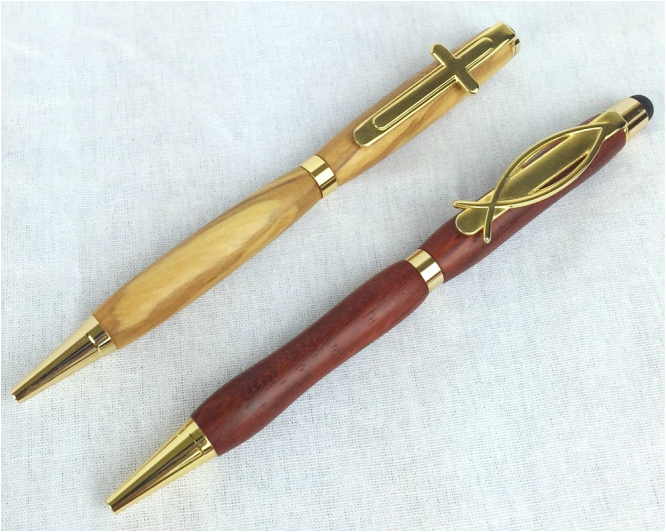 To help simplify the ordering process we are featuring these pens in 2 different woods: African padauk and olive wood. Simply order though the Paypal bottons below to get your custom order started. If you would like a different wood that is on our Material Options page please order the "other" option, and note which wood you would like in the notes at the time of check out. 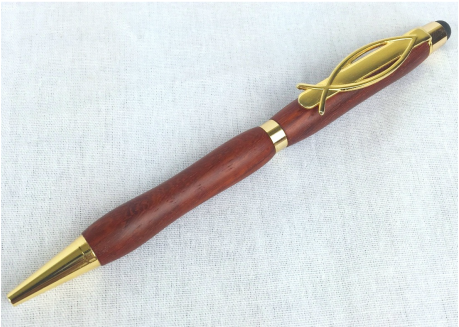 Each pen is hand made to order and may take up to 4 to 6 weeks for delivery.